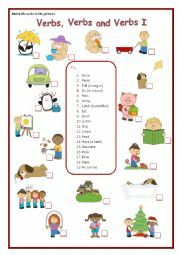 Students practise all forms from Present Simple. Enjoy! Students read the instructions and colour the books. Students match words to pictures. Colouring is followed. 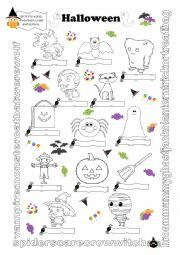 I`ve just corrected this worksheet. I`m very sorry but there were some errors. Ups! Ss practise Personal Pronouns subject form by replacing words and filling in gaps. 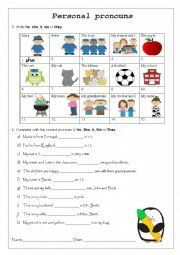 Students match the verbs to the pictures. 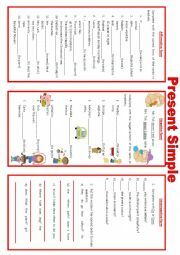 The verbs displayed are used in my ws on present simple. 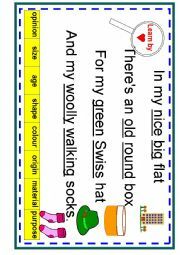 Students can easily memorise the correct order of multiple adjective by memorising this rhyme. 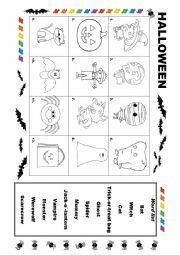 It is a poster to display in the classroom. It really helps! 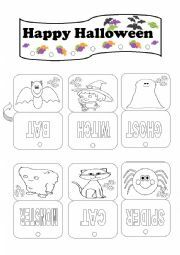 Students circle the Halloween words and write them under each picture. Colouring is followed. Students create this simple mobile by cutting the cards and attaching them to the main card using a string. Picture/words cards are folded in half and the string is placed/ glued inside. 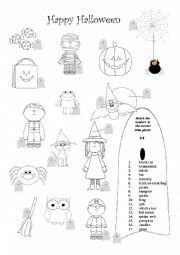 Students`first task is to colour the pictures and the words. Cutting skills are also developed. Students match the words to the pictures. Colouring is followed. First, children colour the crayons by listening to the teacher. 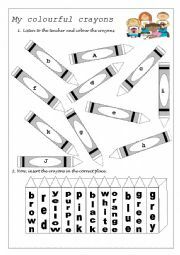 Alphabet is used to identify the crayons. 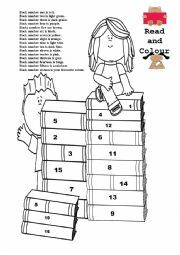 Then they insert the crayons (by matching or simply colouring) into the box by reading the colour word.